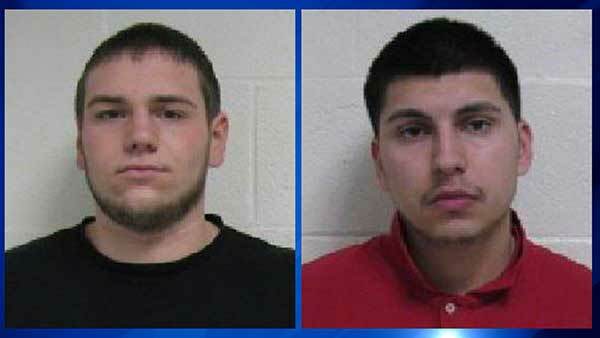 MONTGOMERY, Ill. (WLS) -- Two men have been charged in a shooting Friday in west suburban Montgomery. Kenneth Newsome, 19, faces multiple charges, including three counts of attempted murder and 20-year-old Edwardo Hernandez is charged with mob action and unlawful use of a weapon. One of the suspects barricaded himself in a home in neighboring Aurora Friday night before surrendering to police. Both suspects are due in bond court Monday.